Only twice a year do we host a blow out of this size. Help us make room for some Spring and Summer beauties by getting a deal at our Winter Sale happening this SATURDAY and SUNDAY February 11th and 12th from 11am-6pm. And this year we are extending the sale into |the Family Day MONDAY as well! Wonderland Yarn and sets on sale this weekend! Winter Sale on Family Day Weekend! For anyone who’s been waiting for our large Winter Blowout Sale, a date has been set: Mark your calendars for the weekend of February 11th, 12th and 13th! With more than half the store on sale 30% or more, mark your calendars! It has been an unsettling time in the political climate around the world, making it that much more important to find our voice. This Saturday, there will be a march in DC and many other cities around North America with pink being the symbol of that voice. 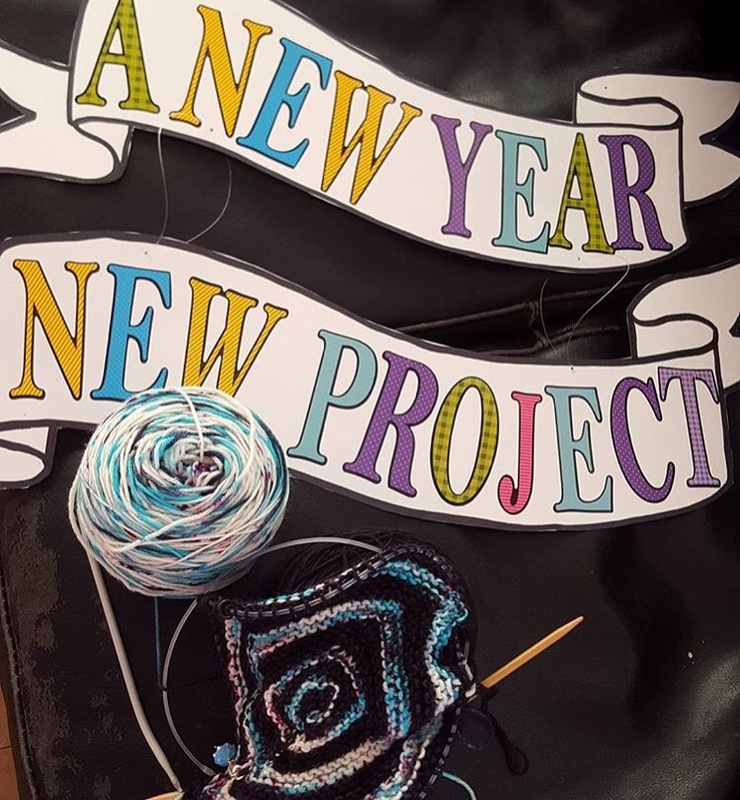 The Pussyhat Project is crafting their message into every stitch, and British Columbians are picking up their needles and tying up their shoes. In support of the power of pink, Baaad Anna’s will be offering 10% off EVERYTHING in store to anyone wearing a pink hat on Saturday January 21st. 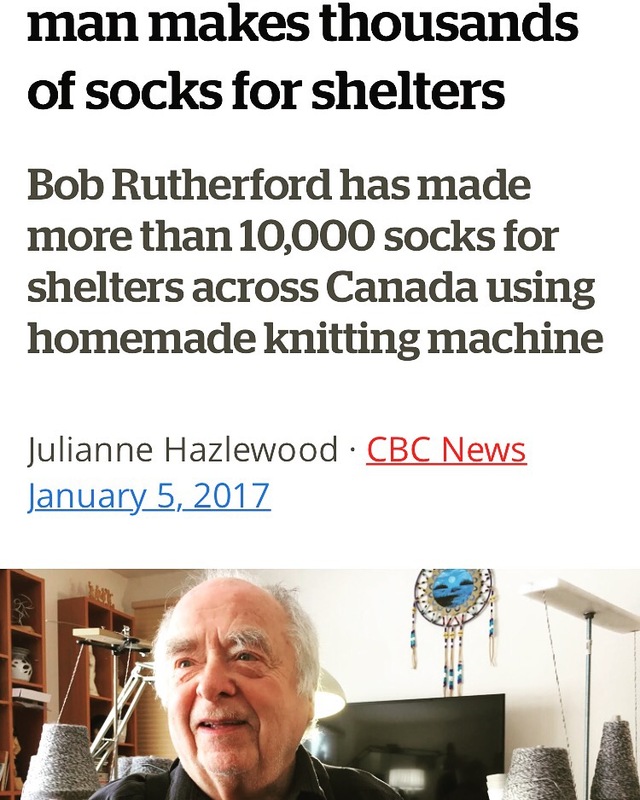 Thank you CBC for spotlighting this amazing individual! Warm and happy in so many ways! 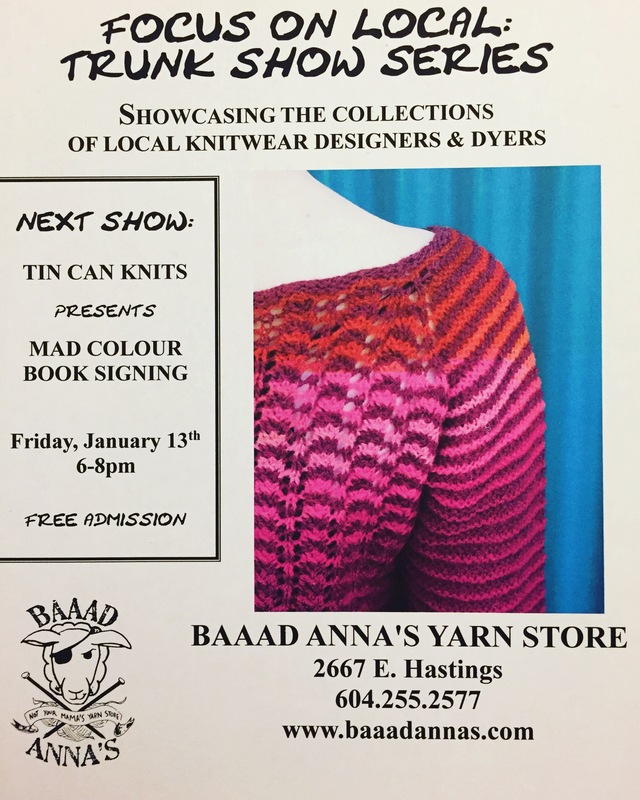 Pizza Knit Night with Tin Can Knits! Come by tonight (Fri night) for a book signing by Alexa Ludeman of TinCanKnits from 6-8pm. We’ll have a Trunk Show and I’ll bring in pizza to share for sale by donation to the Vancouver Food Bank. BYOB and knitting as well! Happy new years! With this wintery welcome to 2017, how many of you have put forward some new years resolutions? 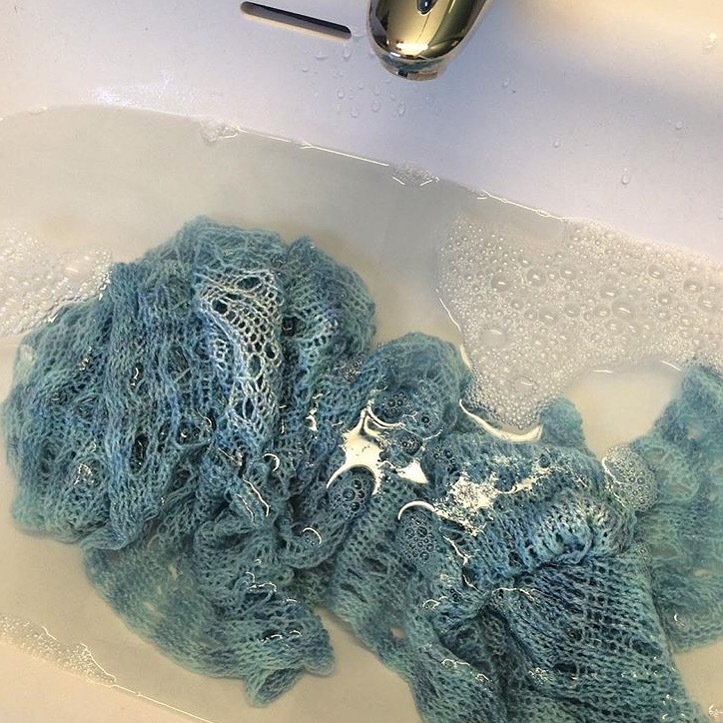 Do they include cleaning up your knits, figuring out your to-knit list, or busting through your stash? Well if you want to figure out some new techniques, we have a great learning series for you: Holli Yeoh‘s Fine Finishing Techniques! 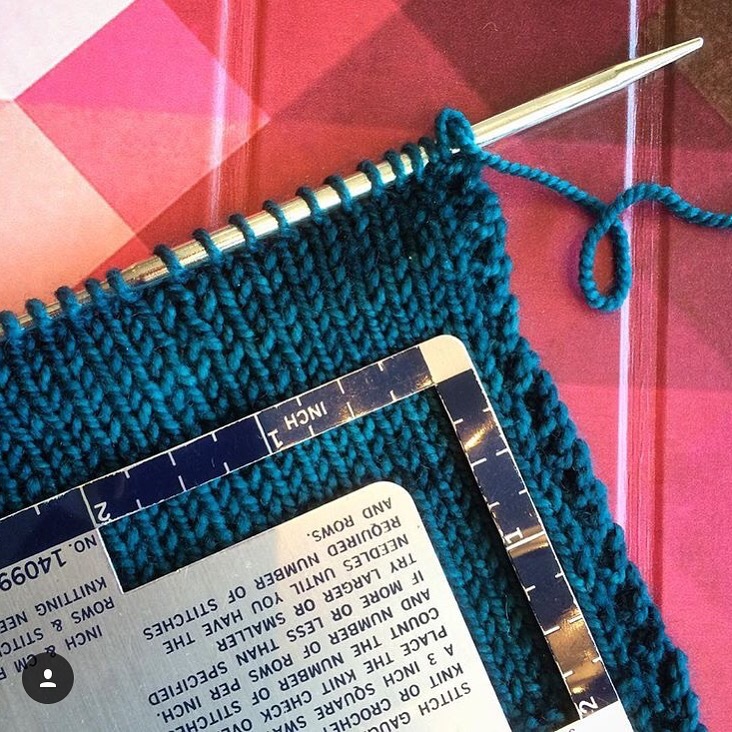 We’re putting together a series of workshops that cover the ins and outs of transforming your projects from ‘home made’ to ‘hand knit.’ You’ve spent all that time knitting a beautiful garment, now don’t skimp on the finishing. You’ll learn finishing techniques that rival commercially made garments and you’ll have the confidence to tackle sweater projects. 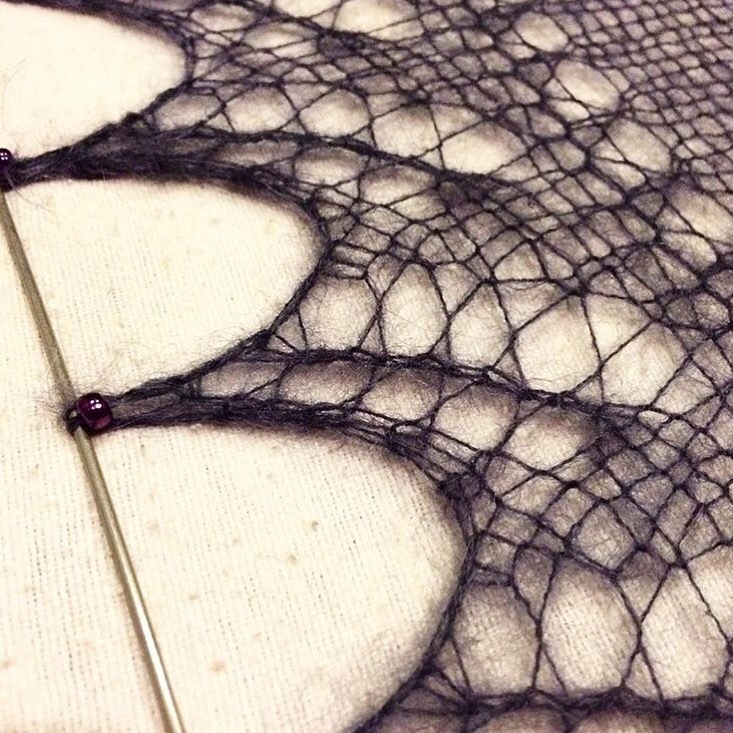 In the first class we’ll work on cast ons, selvages, fully fashioned increases and decreases and bind offs. After all the pieces of your project are completed you’ll want to prepare them for assembly and wearing. In the second class in the series we’ll cover blocking, ends, applied edgings and if time permits, buttonholes. 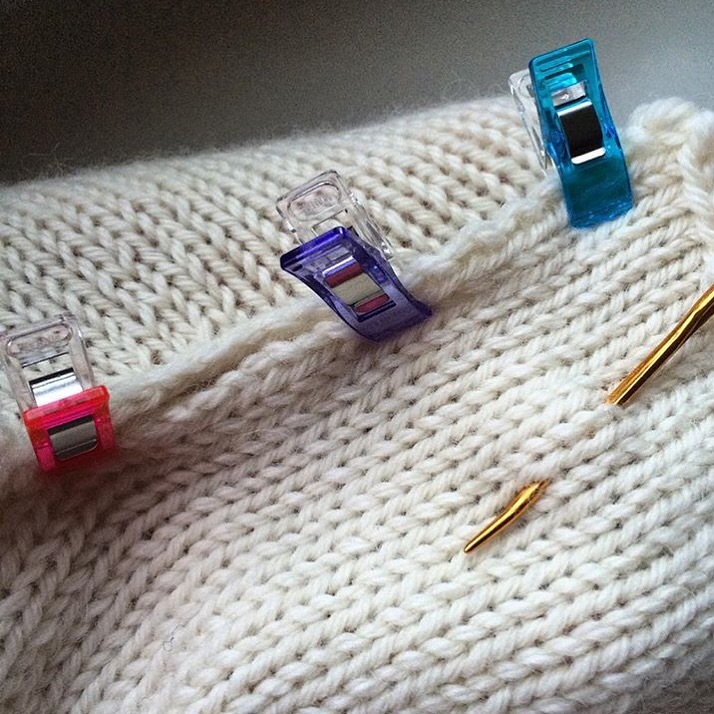 Make sure to give your knitting the attention it deserves when seaming your garments. You’ll have a chance to try your hand at mattress stitch on both stocking stitch and garter stitch as well as false grafting. We’ll discuss the merits of reinforced seams and cover other seaming techniques as time permits. Also, we are thinking of starting a #baaadresolution Instagram tag to share our new 2017 projects and resolutions. Join us! Happy holidays everyone! 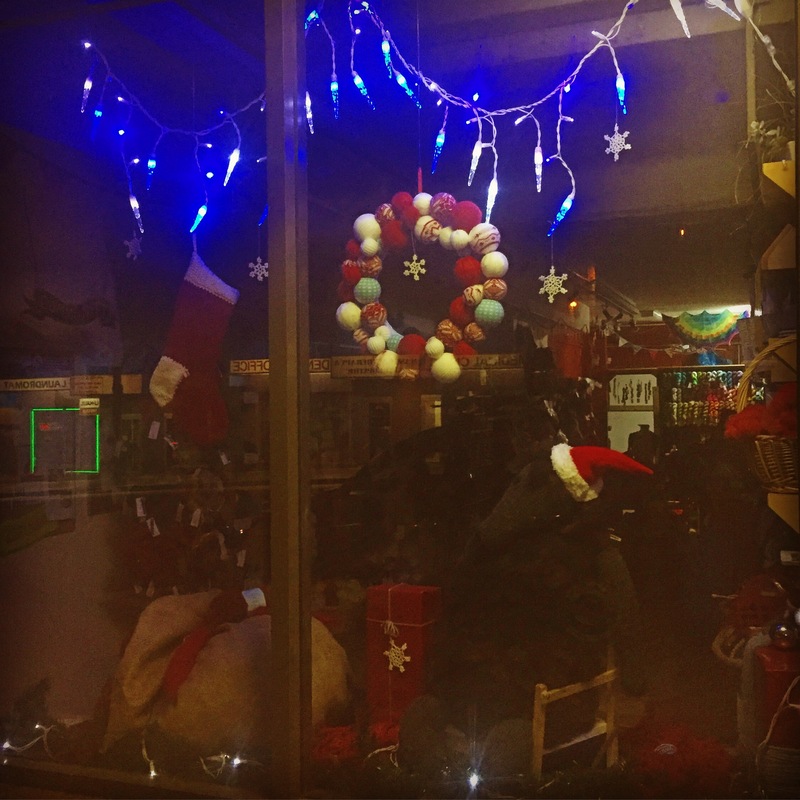 With another amazing year coming to a close we want to thank our lovely customers with a happy holidays sale, so Baaad Anna’s will be offering 20% off ALL yarn in the store on Boxing Day (2pm-6pm) and Tuesday the 27th (11am-6pm). A quiet Christmas night at Baaad Annas! Hope you have a joyful time with those near and dear. We look forward to seeing you soon either post- or mid- celebration!